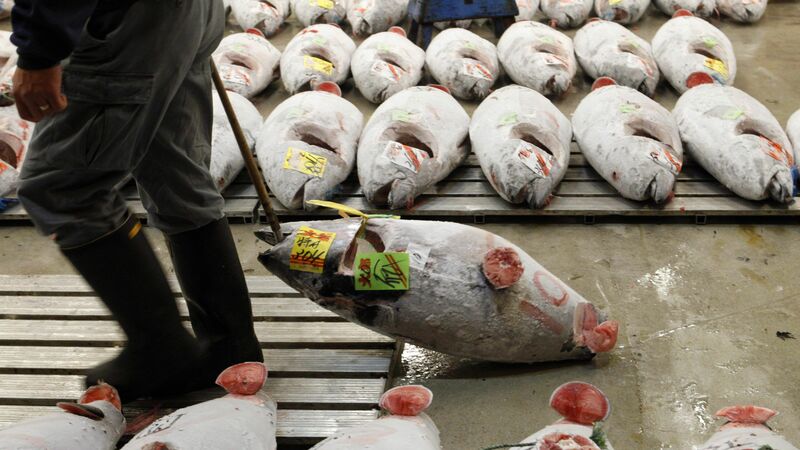 The last bluefin tunaRight now we’re in what is basically a bank run on Pacific bluefin tuna. As population has cratered, the price for the fish has skyrocketed, with one Japanese restaurant paying a record $1.76 million for a 490 lb fish in 2013. Japanese fisherman, lured by the possibility of landing a fish that could make them rich, go to ever more desperate and illegal measures to scoop the remaining tuna out of the ocean, using sophisticated sonar to pierce deep into the waves, and using long lines to reel in fish out of exclusions zones, where they are forbidden from entering. Over 90% of the Pacific bluefin tuna caught in 2013 were too young to reproduce—which means the last generation of the species could have been on any of our plates. And because it’s a top-level predator, the loss of bluefin tuna would upset the balance of marine life and lead to boom and crash cycles in smaller organisms. Humans once again devastating another species for the goal to “get rich”. As much as I love tuna, I’ve given it up. I won’t be part of this, but that position is admittedly an extremely difficult one to maintain. We are so spoiled in having what we want when we want it when it comes to food. It’s unnatural and – as we can see over and over again – extremely destructive.